Shoes can make or break an outfit, so finding the right pair is time well spent. 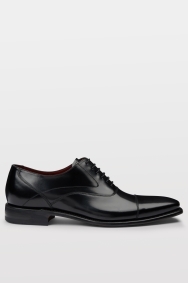 These polished black Oxford shoes from Loake are great when you want a tried and tested formal finish. 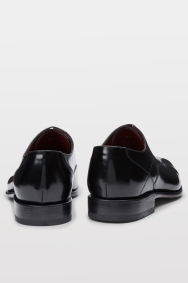 Leather lined with hardwearing soles, they’re comfortable and durable enough for day-to-day office wear. Polished uppers, subtle toecap stitching and neat closed lacing ensure they’re also ideal for any big occasion. 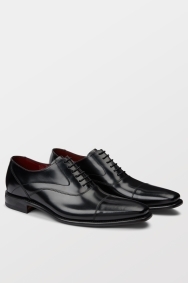 Pair these Oxford shoes with your favourite black suit for a classic evening combination. They’ll work with a grey or charcoal number just as well. Consider adding a white pocket square for extra contrast.